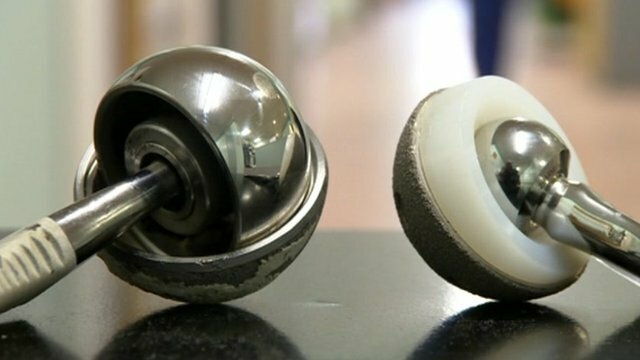 The first MDL bellwether trial began this week against DePuy Orthopaedics in connection with their Pinnacle metal-on-metal hip replacement product. This trial is the first of more than 6,000 cases filed across the country that have been consolidated in U.S. District Court in Dallas, Texas. The Plaintiff in the case, Kathleen Herlihy-Paoli, aged 58, had two Pinnacle hips implanted in 2009 and soon began to complain of pain from the devices. Blood tests before her 2011 revision surgeries found the implants had released dangerous levels of cobalt and chromium into her bloodstream. Doctors found Mrs. Paoli’s cobalt blood serum levels were 85 times higher than normal, and an MRI also showed the presence of a sizable pseudotumor growing around her left hip implant. In her Complaint, Ms. Herily-Paoli alleges that DePuy “knew, or should have known, of reports that metal-on-metal implants, such as the Pinnacle, generated unusually high amounts of metal debris over time due to unusual, premature or increased wear and tear,” and that the debris “can spread throughout the surrounding bone and tissue and cause serious complications and damage.” Further, the Plaintiff says DePuy officials misled patients and their doctors about the safety of the artificial hips, and sponsored a nationwide satellite telecast to orthopedic doctors to push the advantages of the Pinnacle device when they were already aware of the dangers of the product. Ultimately, the jury in this first trial will be asked to determine whether the Plaintiff has provided sufficient evidence to meet the legal standards with regard to her claims of product defect, fraud, misrepresentation, and infliction of emotional distress. Moreover, if jurors find DePuy recklessly endangered the Plaintiff’s life, then they could be exposed to tremendous punitive damages. The attorneys at the Suthers Law Firm can quickly determine if your hip implant has been subject to recall, certified for multidistrict litigation or subject to FDA complaints or investigation. If it is determined that you have a valid hip implant case, your case will be handled on a contingency fee basis, meaning there is no attorney’s fee unless there is a recovery on your behalf.